Kansas Republican Senator Garrett Love plans to introduce a bill that would effectively ban abortions after 14 weeks’ gestation, chipping away at women’s reproductive rights in a state fraught with similar abortion restrictions. The bill was drafted by the National Right to Life Committee – the largest anti-choice organization in the nation – and seeks to end a procedure called dilation and evacuation (D&E), in which abortion providers use clamps, forceps, scissors, or other tools to dismember a fetus. D&E is the only way to perform an abortion after 14 weeks’ gestation, meaning the legislation would effectively ban abortions in the first trimester and before the fetus is viable according to Roe v. Wade. 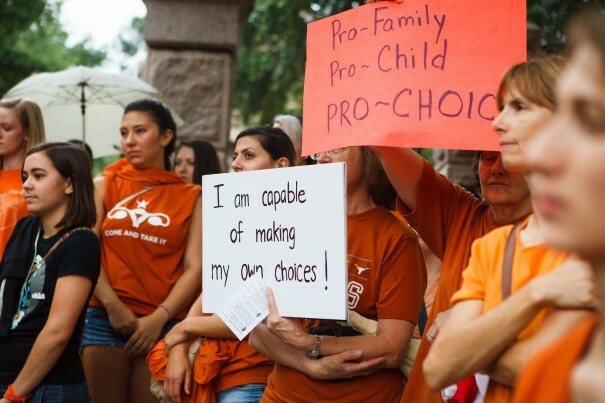 “Kansas women are smart enough to make their own decisions about their families and lives,” Laura McQuade, president and CEO of Planned Parenthood of Kansas and Mid-Missouri, said in a statement to RH Reality Check. She and other pro-choice Kansans note that the bill is just another limit to reproductive rights in a state with the most abortion restrictions on record. The South Wind Women’s Center – a new clinic in Wichita, Kansas that is located in the same building as the late Dr. Tiller’s practice – also opposes the bill. South Wind is a consistent target of anti-abortion extremist group Operation Rescue/Operation Save America. Love, who has consistently supported anti-choice bills in the past, has yet to introduce the legislation. Media Resources: RH Reality Check, 1/16/15; Guttmacher Institute, 1/16/15; American Congress of Obstetricians and Gynecologists, 1/16/15; Feminist Majority Foundation, 1/8/15. A ban on fourteen week abortion is ridiculous. If the fetus has anomalies that are incompatible with life outside the uterus, these anomalies will not be detected until at least the 16th to possibly 20th week of gestation. Many issues may arise in a pregnancy and decisions regarding abortion are medical decisions, not legislative decisions.